They call it a reboot. It happens all the time in Hollywood when a movie franchise falls flat. After a blockbuster wears out its audience with a string of lesser sequels, the studio starts over, retelling the story from an entirely new angle. The best example is Batman. The combination of Michael Keaton and director Tim Burton produced critical acclaim and big box office numbers for the first two Caped Crusader films in 1989 and 1992. Then came a new director, Joel Schumacher, who just about killed the franchise with Batman Forever in 1995 and Batman & Robin in 1997. Eight years passed before someone in Hollywood realized the Dark Knight's name could still fill theater seats, and the franchise was rebooted in 2005 with the dark and gritty Batman Begins. 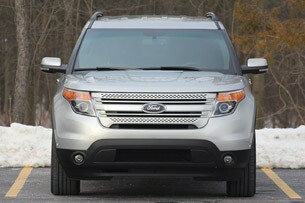 The totally redesigned 2011 Ford Explorer is the Blue Oval's Batman Begins. Ford's most famous sport utility vehicle has desperately needed a reboot ever since the Firestone tire recall in 2000 made it Rollover Enemy Number One. Rising gas prices haven't helped either, but the tire debacle hurt the brand badly, with the Explorer going from this country's third best-selling vehicle in 2000 with 445,157 sold to just over 60,000 bought in 2010. But just like Batman, the Explorer name had value that Ford couldn't let go to waste. 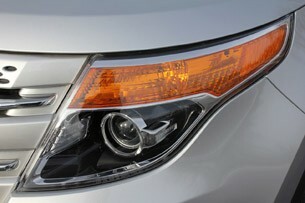 And so the 2011 Explorer is the sport utility story retold by Ford from an entirely new angle. The question is whether or not the Explorer's name can still put butts in seats. The new SUV story that Ford is telling is truly different from the original because the new Explorer isn't an SUV at all – it's a crossover utility vehicle. Whereas prior Explorers could trace their lineage all the way back to the body-on-frame Ranger pickup, the new Explorer uses a unibody platform derived from Volvo and Ford sedans, albeit heavily modified to withstand some light off-roading. Underneath its skin, the 2011 model is most closely related to Ford's other three-row crossovers, the Flex and Lincoln MKT, and it's now being built alongside Taurus and Lincoln MKS sedans at Ford's Chicago Assembly plant. The curious thing is that the Explorer is still called an SUV in Ford's new story. Despite it technically being a crossover, the Explorer gets lumped in with the Expedition and Escape (also technically a crossover) in Ford's portfolio of SUVs. 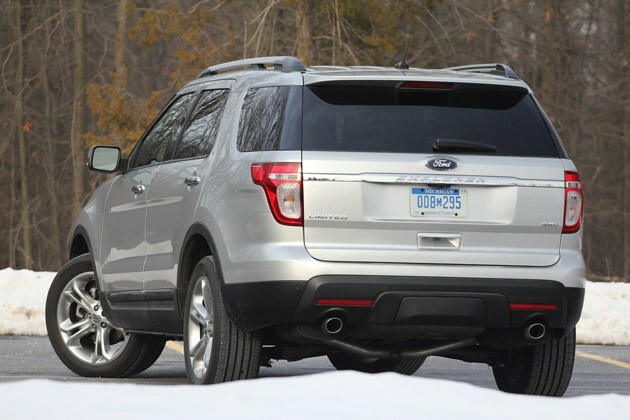 The Edge and Flex, meanwhile, are Ford's official CUVs. What the new Explorer looks like, however, is a Taurus station wagon with a lift kit. Many of the Explorer's new design cues are lifted straight from Ford's large sedan, like its Remington shaver grille sporting a familiar pair of perforated crossbars. The two vehicles also share some surface sculpting, which is most evident on the sides where both feature the same indented door panels and dimpled sheetmetal behind the rear wheels. Ford designers haven't totally broken with the past, however, as some original Explorer elements remain. The B- and D-pillars, for instance, are blacked-out just like they've been on every Explorer since 1991. 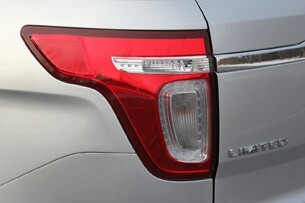 Ford's designers also made the new Explorer's A-pillar disappear, which further reduces visual bulk and makes the roof look like it's balancing on the strong, thick C-pillars. Dimensionally, the new Explorer is similar to the one it replaces – a little smaller here, a little bigger there. 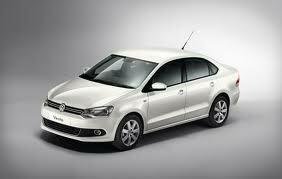 It's longer, lower and significantly wider than the 2010 model and has more headroom for all passengers. There's a little less legroom for the driver, front passenger and people riding in the very back, but passengers in the middle seats are treated to almost three more inches of legroom. And while overall cargo capacity with all of the seats folded and/or stowed is down from 84 cubic feet to 81, the new model's extra inches of length were put to good use behind the third row of seats, where luggage space has grown from 14 to 21 cubic feet. Our Limited 4WD tester proved to be comfortably roomy for passengers sitting up front and in the second row of seats, the latter of which were optional dual buckets ($750) with a second-row console ($100). While they do sacrifice a seat compared to the standard 60/40 split bench, the buckets make the third row less claustrophobic and give passengers in the way-back some extra knee room for their inboard legs. It's still not as comfortable as a minivan's most aft seating, but the Explorer's third row is one of the most comfortable in its class. Our tester also came equipped with the top shelf Rapid Spec 302A package ($4,810) that, in addition to such niceties as Active Park Assist (useful in a vehicle this size), Adaptive Cruise Control, Blind Spot Monitoring System, rain sensing wipers, HID projector headlamps, a power liftgate, luxury seating package (heated, cooled, 10-way adjustable front seats) and voice-activated navigation with SIRIUS Travel Link, included an impressive power-folding 50/50 split third row. 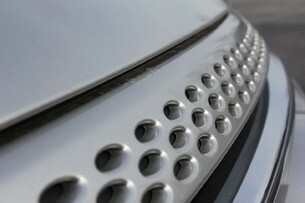 Check it out in the Autoblog Short Cuts video below. Being the most expensive model with all-wheel drive and all the trimmings, this Explorer's $44,610 price tag ($39,190 base MSRP) did include Ford's controversial MyFord Touch system. We say 'controversial' because it's a love-it-or-hate-it infotainment system. 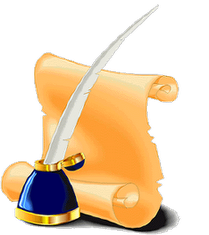 You either love it for its forward-thinking user interface, excellent graphics and industry-leading features, or you hate it because it's a distraction, difficult to learn and slow to respond to inputs. Consumer Reports doesn't like it very much and the Autoblog team is split down the middle, though we universally dislike the stereo and climate controls that come with the separate upgraded Sony sound system. 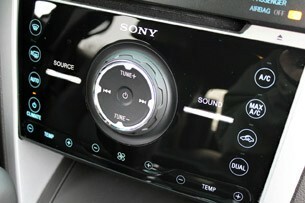 In addition to nice things like a rear subwoofer, 12 speakers and 390 watts of power, the Sony system also replaces the lower part of your center dash with a completely smooth, glossy black panel of touch sensitive controls for the climate system and a single rotary knob for the stereo controls. With no contours, it's very difficult to perform simple tasks like finding the controls to change fan speed or turning on the rear defroster. Unfortunately, the Sony system is standard on Limited models. 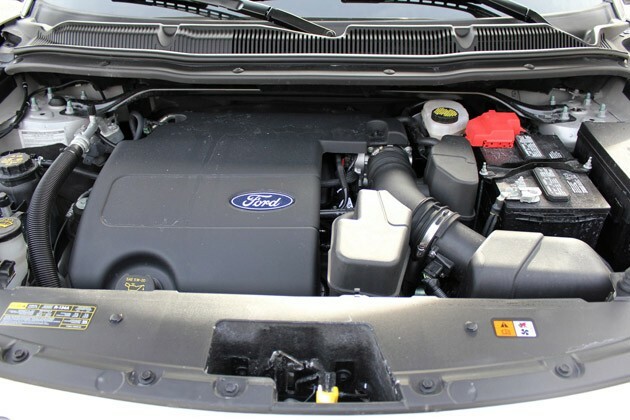 What's also standard is Ford's 3.5-liter TiVCT V6 engine. It's the only drivetrain available at launch, though will soon be joined by a high-tech 2.0-liter turbocharged EcoBoost four-cylinder. For now, however, the 3.5-liter is all one needs thanks to respectable power figures like 290 horsepower at 6,500 rpm and 255 pound-feet of torque at 4,000 rpm. The EcoBoost four-cylinder will have less power (237 hp at 5,500 rpm and 250 lb.-ft. from 1,750 rpm), but should easily beat the 3.5-liter's EPA fuel economy figures of 17 miles per gallon city, 23 mpg highway and 19 combined. Not opting for all-wheel drive will improve those numbers to 17 city, 25 highway and 20 combined, though we managed to achieve an average of 20.4 mpg over the course of a week with our Explorer Limited 4WD. An engine is only as good as the parts to which it's mated, and fortunately the rest of the Explorer's mechanicals are equally up to moving and stopping this 4,752-pound vehicle without drama. The six-speed automatic transmission shifts smoothly and intelligently, making manual gear selection via the gearshift lever's rocker switch somewhat superfluous. The brakes are confidence-inspiring with a firm pedal feel, addressing one of the long-standing complaints we've had with Ford vehicles on this platform for the last couple of years. And the steering is yet another incremental improvement for Ford's electronic power-assisted rack-and-pinion system, which continues to feel more natural with each iteration. Combined, these elements do their work without being noticed, which is exactly what the busy mom or dad who's behind the wheel wants. What they also want are class-leading technology and safety features, and Ford is happy to oblige. Our Explorer Limited 4WD featured common items like a blind sport warning system, rear view camera and electronic stability control system with traction control, but also included unique features like the industry's first second-row inflatable seat belts. Next up is Curve Control, a new system that can sense when the driver is taking a turn too fast, as on a highway entrance or exit ramp, and reduce engine torque and independently apply braking to each of the four wheels to keep the Explorer on its intended arc. 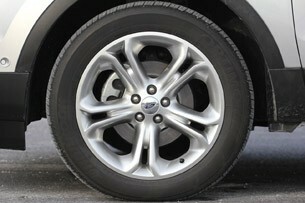 The most trick piece of new tech, however, and the one which we used the most, was Ford's new Terrain Management system. 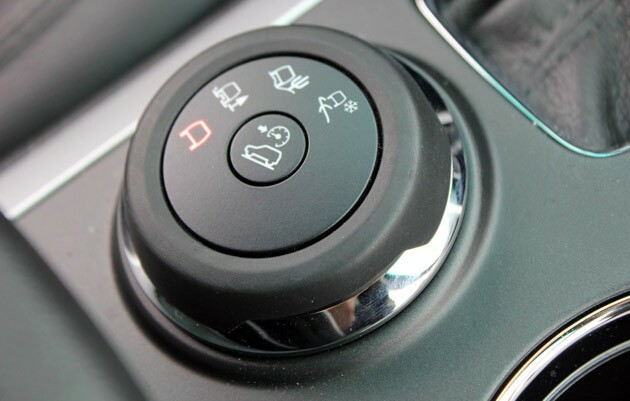 Controlled by a knob right behind the gearshift lever, Terrain Management offers Explorer owners four selectable modes for the all-wheel-drive system: Normal, Mud and Ruts, Sand and Snow. Each of these situation-specific modes will individually adjust the engine, throttle, transmission, traction and stability control systems for that particular environment. We got caught in a nasty snow storm between Detroit and Cleveland while driving the Explorer and were able to at least put Snow mode to the test. We weren't able to feel any of those adjustments from behind the wheel during our hours of driving through inclement weather, which is a credit to the system's calibration, but we know it works if for no other reason than we're still here to write this review. 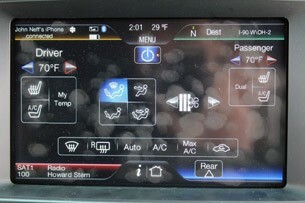 We also noticed that the Explorer could generally accelerate quicker and cruise faster in the snow than the traffic around it, which could have been the Terrain Management's Snow mode doing its job or just our false sense of security from turning a knob on the dash until a snow flake lit up – a real danger for any well-marketed all-wheel-drive system. Terrain Management also includes Hill Descent Control, though we never found a big enough hill in Ohio to test this system's ability to slow down the Explorer with the assist of engine braking. What we do have in Ohio is plenty of flat, straight roads on which to evaluate a vehicle's ride, and the Explorer offers a fine compromise between controlled and comfy. The longish 112.6-inch wheelbase, big 20-inch aluminum wheels and general immensity of the Explorer are able by their nature to handle bumps in the road without the vehicle becoming unsettled, while the shocks and springs themselves actually feel firm when being loaded up in a turn. With momentum in all directions under control, the Explorer actually drives like a smaller vehicle, though looking out of that high, expansive hood will never let you forget its size. Some 20 years after America met the first Explorer, size is the main thing that's holding this latest model back from ever achieving the big box office numbers of its predecessors. That kind of money is reserved for much smaller vehicles these days. 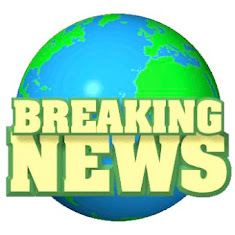 In fact, the top ten best-selling vehicles of 2010 included only one utility vehicle, the much smaller Honda CR-V, which nearly slid off the list at number nine. The CR-V sold just over 200,000 units last year, or less than half what the Explorer sold at its height of popularity back in 2000. Clearly, this size vehicle can't be a blockbuster anymore (unless it's got a bed in the back). 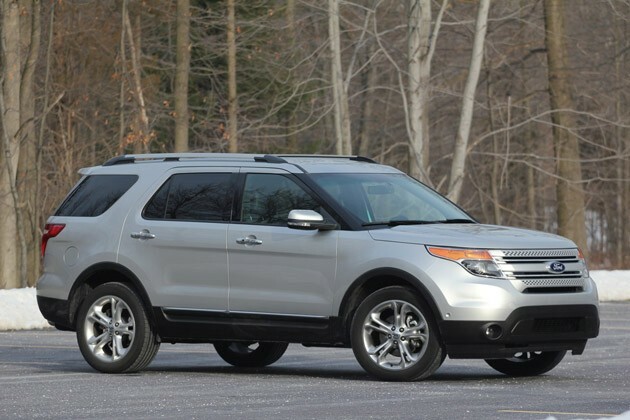 That doesn't mean, however, that the 2011 Ford Explorer can't be a huge success. Batman Begins was a huge success, even though the 1989 original earned a lot more money. Michael Keaton's original cost $48 million to make and earned $411 million worldwide, while the Christian Bale reboot cost $150 million and made $373 million. Nobody would argue the reboot was a bad idea, because that's not what reboots are about. 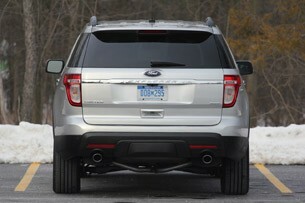 They're about getting back to making a great product, which is exactly what Ford has done with the 2011 Explorer. Bonus Fun Fact: The original Batman remained the highest grossing caped crusader film until the reboot's sequel, The Dark Knight, arrived in 2008. 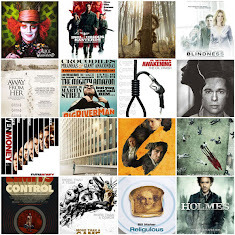 That film rediscovered the sweet spot with a little help from Heath Ledger's Joker and knocked the first film from its pedestal grossing over one... billion... dollars. If our little analogy holds true, Ford may have the utility vehicle to end all utility vehicles up its sleeve for this new Explorer's encore.